The function of a meta description for your page is simple: its main purpose is to get someone searching on Google to click your link. In other words, meta descriptions are there to generate clickthroughs from search engines. This tag is used to briefly summarizes what the web page is all about. A few things to keep in mind about the description meta tag which is used by most search engines. Limit the number of characters between the quotes for content to 300 characters. This includes spaces and commas. Include your best keywords on the page in the description. Make sure the sentences sound natural. Put the best keyword near the beginning of the description. Do not use too many keywords. You do not want to get tagged as a keyword stuffer by search engines. Use your web page title in the description. Only use numbers, alphabetic characters, commas, and spaces. Other characters will have an unpredictable effect. When you use double quotation marks in the HTML of meta description, Google will cut this text at the quotation mark when displaying it in SERPs. A meta description is also known as description meta tag, seo description, and page description. Normally the meta tag is invisible to the user but on many search engines the description shows up on a search engine results page as a summary. Since a potential customer may see this it is imperative the description be accurate. Note that the meta description is not used in page ranking. What if I don't include a meta description? One will be chosen for you. Some bloggers and web site owners do not fill in meta descriptions and let the search engines decide what is best. I think this can be perilous and have unintended consequences so it is best do write a good description. In the end, meta descriptions are still a worthy thing to focus on in your overall SEO efforts. At the very least, you shouldn’t neglect them — your meta description is the only thing standing between a search result and a visitor. Google will sometimes use the <meta> description tag from a page to generate a search results snippet, if we think it gives users a more accurate description than would be possible purely from the on-page content. A meta description tag should generally inform and interest users with a short, relevant summary of what a particular page is about. They are like a pitch that convince the user that the page is exactly what they're looking for. There's no limit on how long a meta description can be, but the search result snippets are truncated as needed, typically to fit the device width. Make sure that every page on your site has a meta description. The HTML improvements page in Search Console lists pages where Google has detected missing or problematic meta descriptions. Include clearly tagged facts in the description. The meta description doesn't just have to be in sentence format; it's also a great place to include information about the page. For example, news or blog postings can list the author, date of publication, or byline information. This can give potential visitors very relevant information that might not be displayed in the snippet otherwise. Similarly, product pages might have the key bits of information—price, age, manufacturer—scattered throughout a page. A good meta description can bring all this data together. For example, the following meta description provides detailed information about a book. Be descriptive. The language in your meta description should introduce the user to what the page is about. In general terms, sketch out the page’s content. If the user is going to the trouble of clicking on it, he or she wants to make sure that the page really is about what they are interested in. Be persuasive. Great meta descriptions involve a touch of the persuasive. To get clicks, go ahead and tug a little bit. Some SEOs advocate using a call-to-action in the description. I’m not convinced that this is necessary; I do, however, recommend that you create a meta description that invites a response, even if it doesn’t directly call for it. Inspire curiosity. One of the most persuasive things you can do with your meta is to spark curiosity. This is particularly true for informational queries (as opposed to transactional queries). By the time a user finishes reading your description, they should be curious about what the page will say about the topic. You need to provide just enough information to explain what the page is about but not so much that it ruins the curiosity factor. It’s your sales text, where your product is the page that is linked, not the product on that page. Invitations like Learn more, Get it now, Try for free come to mind. It should be actionable and written in an active voice. Of course it should. If you consider the meta description the invitation to the page, you can’t just make it “A mixed metaphor describing a non-existent, yet implicitly high level of qualification.” That’s a dull description. I’ll explain this further with some examples later on. This is important. Google will find out meta descriptions that try to trick the visitor into clicking and might even penalize the site that do this. But apart from that, misleading descriptions will probably increase bounce rate and is a bad idea for that reason alone. You want the meta description to match the content on the page. If the search keyword matches text in the meta description, Google will be more inclined to use that meta description and highlight it in the search results and that will make the link to your site even more inviting. If your meta description is the same as those on other pages, the user experience in Google will be hampered. Although page titles might vary, all pages will appear to be the same because all the descriptions are the same. If you intentionally want/need/are tempted to create a duplicate meta description, you’d be better off leaving the description blank and Google will pick a snippet from the page containing the keyword used in a search. Visit Google Webmaster Tools > HTML Improvements or use Screaming Frog SEO Spider to check for duplicate meta descriptions. Use the right words. The keywords may not matter for search engines, but they do matter for users. In order to be compelled to click, the user needs to see relevant words. These words should be associated with his or her query. The right words in the right places make the difference between a SERP entry that gets overlooked, and a SERP entry that gets a click. Make them the correct length. If you write a meta description that is too long, Google will truncate it. The standard accepted length is around 155 characters. Unlike page titles, meta description cut-offs do not seem to be pixel-based in the same way that page titles are. Do not use double quotation marks. Google will cut them off. If you deem quotes to be important in your meta description, use single quote marks. Here is an example of where the description meta tag is placed in an HTML document (when you look at the source code of a web page). You know exactly what you will get. There are two, actually. ‘Learn more now’ and the site link ‘Buy Now $ 399.00’. Both encourage clicks. 8 MP Camera, that’s what I wanted to know. I don’t need that sales stuff here; I just want that phone. Your meta description is a suggestion to Google. So they probably made something up for you, as they felt the meta description you created didn’t represent the content of the page, or is a duplicate, for instance. The source code for your site should contain exactly one description meta tag. If the tag is missing or if more than one appears, you may not see the preferred description in search engines. Please view the source code for your site to determine if either of these situations apply. 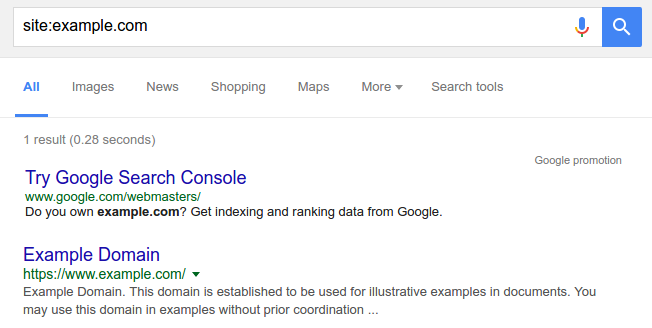 If you searched for SEARCHTERM, Google scans all indexed pages for the exact term or phrase. Google uses the search term to highlight information in search results which is why the meta description is different than what you entered into the plugin. If you've recently updated your description, Google probably hasn't indexed the new description yet. It can take up to a week for Google to index the changes you made, depending on how often your website is crawled. If you type, in Google, cache: followed immediately by the URL of your site or page, you'll see what Google has cached for your site. If the appeared date is before you made the changes, we'll have to wait for Google to crawl your site again. Sometimes you can speed up this process with the fetch as Googlebot tool. Ultimately search engines will, as you have seen, make the final decision on what they show in their search results. Due to this being handled on Google's end, there is little you can do to force Google to display the preferred description. The best advice we can provide, unfortunately, is to try different descriptions.